"The only no-compromise gun lobby in Washington"
Gun Owners of America (GOA) is a non-profit lobbying organization formed in 1975 to preserve and defend the Second Amendment rights of gun owners. GOA sees firearms ownership as a freedom issue. GOA was founded in 1975 by Sen. H.L. (Bill) Richardson (now retired). The GOA Board of Directors brings over 100 years of combined knowledge and experience on guns, legislation and politics. GOA’s Board is not satisfied with the “status quo.” Americans have lost some of our precious gun rights and we want them back! This is why GOA is considered the “no compromise” gun lobby. From state legislatures and city councils to the United States Congress and the White House, GOA represents the views of gun owners whenever their rights are threatened. GOA has never wavered from its mission to defend the Second Amendment. Over the last 30 years, GOA has built a nationwide network of attorneys to help fight court battles in almost every state in the nation to protect gun owner rights. GOA staff and attorneys have also worked with members of Congress, state legislators and local citizens to protect gun ranges and local gun clubs from closure by overzealous government anti-gun bureaucrats. As an example, GOA fought for and won, the right of gun owners to sue and recover damages from the federal Bureau of Alcohol, Tobacco and Firearms (BATF) for harassment and unlawful seizure of firearms. Gun Owners Foundation is a non-profit, tax-deductible education foundation. It is the research arm of GOA. Among the activities sponsored by GOF are seminars which inform the public, the media and government officials about key issues affecting the Second Amendment. GOF also publishes books and articles concerning gun issues as they affect people throughout the world. Gun Owners of California operates solely within California, where it was also founded by Senator H.L. Richardson to address the pivotal gun issues arising in that state. The more concerned Americans join Gun Owners of America, the more we can do to protect the Second Amendment and our freedom. We need you! Shouldn’t you become a member of Gun Owners of America? H.L. "Bill" Richardson is the Founder of Gun Owners of America. Innovative maverick. Defender of freedom. Effective, provocative, colorful and imaginative – each describe Senator H.L. Richardson (Ret. ), founder of Gun Owners of California and Gun Owners of America. Senator H. L. Richardson is a nationally recognized, twenty-two-year veteran of the California State Senate who has focused his extensive political career on the preservation and protection of our Second Amendment rights. An active hunter and outdoorsman, Senator Richardson has been vigorously involved on the state and national scene, racking up political victories that span more than four decades. In 1966, H. L. “Bill” Richardson, a successful advertising executive, was elected to the State Senate the same year Ronald Reagan was elected California’s Governor. Because of his vast hunting and outdoor experience, he was tapped to Chair the Senate Fish and Game Committee, and was elected by his Republican colleagues to a leadership position as Caucus Chairman, a post he held for many years. In the early 1970’s, the Senator became very aware of the worldwide inroads the radical left were making in politics, most specifically their consistent attempts to disarm Americans. He became a life member of the NRA and, with their encouragement, authored the state preemption of firearms law which in 2009 resulted in overturning the recently enacted San Francisco handgun ban. He was subsequently elected to the NRA Board of Directors, where he served for over a decade. In 1975, the radical left introduced legislation to ban all handguns in California. The bill generated strong support from elected officials and the main-stream media, which triggered Richardson to mobilize enraged citizens from throughout the state. It was at this point that Gun Owners of California was born, a direct mail attack was unleashed and the bill was defeated. Gun Owners of America soon followed and Richardson’s keen skill for mobilizing single individuals toward a common goal launched a very effective political movement that continues to focus on the preservation of the Second Amendment. During his 22 years in the California Senate, Richardson showed that a determined application of confrontational politics could produce big victories. While in office, in addition to GOC and GOA, Richardson organized multiple Political Action Committees [PACs] that raised hundreds of thousands of dollars to fight the political left. One such committee was “Law and Order Campaign Committee” which led the charge to defeat Chief Justice Rose Bird and two other liberal members of the state Supreme Court. The three anti-victim justices were defeated by over a million votes. LOCC then pushed for the return of capital punishment, a move strongly opposed by the liberal leadership of both houses and Governor Jerry Brown (during his first term in office). Using massive direct mail pressure, the bill passed both houses but in spite of heavy support from the public, the bill was vetoed. LOCC refused to give up, and using targeted direct mail and the mobilization of concerned citizens, Governor Jerry Brown’s veto was overridden. Richardson took this sharp political insight and wrote a virtual “game plan” for political wins with his controversial book, Confrontational Politics. He clearly explains his core belief that politics should be a struggle of competing ideologies, not a game of compromise and accommodation. A published author, other works include “Slightly to the Right,” an entertaining yet informative book written in the 60’s that taught conservatives how to debate their liberal friends. It became an immediate conservative classic which sold over 250,000 copies nationally. “What Makes You Think We Read the Bills?” was written while Richardson was in the Senate and provides rare, yet funny insight into the real-life workings of the Legislature. It has been used as a textbook in political science classes throughout California. Richardson also combined his love of writing and extensive knowledge of the American West to write a series of Western mysteries, beginning with “The Devil's Eye,” and followed by the sequel “The Shadows of Crazy Mountain.” For a change of pace, he authored “Split Ticket,” a political comedy based in Sacramento, California. His unique perspectives and use of humor have kept him in demand as a speaker and writer, and he continues to provide colorful media commentary on a host of issues. He is the recipient of numerous awards and accolades from fellow Second Amendment organizations, and has received such notable recognition as Outstanding Statesman Award from the Conservative Caucus, Law and Order Award from American Educational League, the Guardian of Freedom Award from (YAF) Young Americans for Freedom and the Ronald Reagan Freedom Fighter Award. He has also been recognized for his exceptional work in law enforcement, having earned commendations from California homicide investigators, swat teams, police, parole and correctional organizations. Senator Richardson has three children, seven grandchildren and an ever-growing team of great-grandkids. He was married to his beloved wife Barbara for 57 years. He currently resides in the foothills of the Sierra Nevada, east of Sacramento, California. Tim Macy currently serves as Chairman of the Board for Gun Owners of America. Tim Macy has been on the Board of Directors of Gun Owners of America since its inception over 35 years ago and currently serves as Chairman of the Board. Mr. Macy helped GOA Founder and current Vice Chairman, Senator H.L. Richardson, form GOA by personally calling and getting commitments from all of the original members of the GOA Advisory Board in early 1975. Mr. Macy oversees all operations of Gun Owners of America and interviews Presidential, U.S. Senate, Congressional and Gubernatorial candidates for GOA’s affiliate, Gun Owners of America Political Victory Fund. He also oversees, along with GOA Executive Director Larry Pratt, the affairs of Gun Owners Foundation, the 501C-3 non-profit education and legal arm of GOA. He is also Vice-Chairman of Gun Owners of California and oversees all operations of GOC, along with GOC Executive Director and Chief Lobbyist Sam Paredes. Macy has been a consultant to candidate’s campaigns and a fundraising consultant to organizations, candidates and committees, personally raising millions of dollars for these groups and individuals during his career. He is an avid hunter, fisherman and outdoorsman. Erich Pratt is the Executive Director for Gun Owners of America, and currently serves on the GOA Board. Erich Pratt is the Executive Director for Gun Owners of America, and currently serves on the GOA Board, as well. GOA is a national grassroots organization representing more than two million Americans dedicated to promoting their Second Amendment freedom to keep and bear arms. GOA lobbies for the pro-gun position in Washington, DC and is involved in firearm issues in the states. GOA’s work includes providing legal assistance to those involved in lawsuits with the Bureau of Alcohol, Tobacco, Firearms and Explosives, the federal firearms law enforcement agency. Pratt has appeared on numerous national radio and TV programs such as NBC’s Today Show, MSNBC, CNN, CBS and Fox Cable News. His columns have appeared in newspapers across the country, including USA Today. In addition to authoring a book, Bearing Arms: Our Rights, Our Duties & Our Freedoms, he is the author of a civil government textbook,The Constitutional Recipe for Freedom. Pratt has been involved with youth for over two decades, teaching civil government to high school students, serving as a Merit Badge Counselor in the Boy Scouts and coaching Little League baseball teams. Mr. Pratt and his wife, Stacy, have eleven children. John Velleco is currently the Director of Operations for GOA, having served in various roles since 1993. John Velleco is currently the Director of Operations for Gun Owners of America, having served the the organization in various roles since 1993. Along with the entire GOA team, Velleco has taken part in legislative battles such as the passage of arming commercial airline pilots (signed into law in 2002), preventing gun confiscations after natural disasters like hurricane Katrina (signed into law in 2006), repealing the gun ban on National Park Service land (signed into law in 2009), and repealing the gun ban on Amtrak trains (signed into law in 2009). While legislative responsibilities keep John on Capitol Hill on a regular basis, he has also appeared on various news programs on NBC, ABC, FOX News, CNN and C-Span, in addition to speaking at rallies and events across the country. John resides in northern Virginia with his wife of 26 years and their five children. Jordan Stein is the Director of Communications for Gun Owners of America. Jordan Stein is the Director of Communications for Gun Owners of America (GOA), a grassroots organization representing more than 1.5 million gun owners and activists. In addition to assisting GOA’s lobbying efforts on Capitol Hill, Stein handles communications, public relations, and social media for GOA as well as serving as a spokesperson for the organization. Before working for GOA, Stein graduated from Liberty University with a Bachelor of Science degree in Government: Politics and Policy with the Dean’s Leadership Award. During his time at Liberty, Stein founded Students at Liberty for Gun Rights (SL4GR), a club which had over 1,200 members and supporters by the time he graduated. SL4GR was also instrumental in encouraging Liberty’s administration to allow guns in dorms and in building one of the largest gun ranges on the east coast. Stein has appeared on Fox and Friends, Liz Wheeler’s “Tipping Point” on One American News Network, and has been quoted in The Washington Post, The Washington Times, The Washington Examiner, TheBlaze and Axios in addition to numerous other appearances in news sources and podcasts. Stein has been a guest columnist for “Down Range with AWR Hawkins" and has been published in American Military News and other commentary outlets. Stein is originally from central North Carolina, but he now resides in Northern Virginia. Rachel Malone is the Texas Director for Gun Owners of America, spearheading GOA’s work within the Texas Legislature. Rachel is passionate about promoting the right to keep and bear arms in legislation, training, and public perception. In 2012 she founded Texas Firearms Freedom, the first organization to champion constitutional carry in Texas, and has seen tremendous progress through her efforts. A nationally-certified firearms instructor, Rachel teaches defensive handgun and rifle, finding joy in empowering individuals to protect themselves and their loved ones. She trains and shoots in disciplines from CQB to long-range rifle and participates regularly in Run n Gun biathlons. You can hear some of Rachel’s strong opinions on the Polite Society Podcast. She is also a guest writer for various gun blogs and speaks regularly throughout Texas and beyond on topics including gun rights, legislative action, gun safety, party politics, and more. She remains dedicated to training others in the process by which they can make change happen, safeguarding liberty and justice for all. Previously, Rachel served as the Operations Director of the Republican Party of Texas, ran a private music studio, and performed as a classical musician. Coming from a long line of proud Texans, she enjoys living on a farm in central Texas. Sam Paredes is a board member of Gun Owners of America, and he has served as the Executive Director of Gun Owners of California for over 35 years. Sam Paredes has been with Gun Owners of California for over 35 years, currently serving as Executive Director, a position he has held since 1998. He is also a member of the Board of Directors of Gun Owners of America and Treasurer of Gun Owners Foundation. 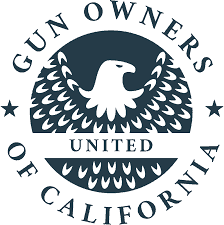 GOC is a non-profit lobbying organization formed to protect and preserve our Second Amendment rights in California. Paredes is a registered lobbyist, has testified in hundreds of legislative committee hearings and has advocated on behalf of the gun community before the California Fish and Game Commission, the Department of Fish and Wildlife, and the Department of Justice. Paredes has been interviewed by virtually every California news outlet as well as national and international media such as Fox News, ABC World News Tonight, the Wall Street Journal, Washington Post, the Larry Elder Show, Al Jazeera and the BBC (Britain and Australia) as an expert on gun laws in the Golden State. He is a frequent speaker before conservative groups and has given workshops on “Confrontational Politics” in Missouri, Nevada and throughout California and has served as co-host of Sacramento’s “Just Guns” radio show on Money 105.5 FM. In addition to his work with GOC, Paredes was appointed by California Governors George Deukmejian and Pete Wilson, serving in both administrations in the Trade and Commerce Agency. Born in Los Angeles to immigrant parents, Sam is the second of three children. He attended Pepperdine University on scholarship and graduated with a degree in political science; he also studied at the Foundation for Economic Education in New York. Sam is a certified firearms instructor, an avid outdoorsman and enjoys all shooting sports, hunting, fishing, golfing and traveling. He has served as a volunteer firefighter and as a board member of his local fire protection district in El Dorado County. He is the father of three children and grandfather to an ever growing brood of grandkids. He lives with his wife in the foothills of the Sierra Nevada. • Fighting full-time in the legislative halls, serving as a critical resource to policy makers. • Fighting in the courts – in California and across the nation, having filed amicus briefs in California and other states as well as before the U.S. Supreme Court. • Fighting at the ballot box – raising money to elect pro-gun candidates and to defeat the bad guys. Gerry D. Ognibene is member of the Board of Directors of Gun Owners of America, serving continuously for over three decades. Gerry was born in Brooklyn NY in 1943, moving at age 3 with his parents and older brother to Los Angeles, CA. Gerry attended Don Bosco Tech majoring in metallurgy, Cal. State University majoring in government, and pre law at Western State University Law School. At age 8, Gerry began his life long interest in hunting and fishing. By age 18, Gerry was an experienced fly fisherman, offshore angler and hunter. While in college, Gerry developed a close friendship with the legendary gun maker Harry W. Sanford and the founder of Gun Owners of America, Senator H. L. “Bill” Richardson. With the mentoring of Harry and H. L., Gerry became an advocate for the U. S. Constitution and the Second Amendment. Gerry was senior vice president of the Mission Viejo Company, a community development subsidiary of Phillip Morris Inc. His duties included governmental affairs, public relations, legal affairs and community relations. After leaving Mission Viejo Co, Gerry started Vote Rite Systems, Inc, a data processing company focusing on conservative political data. Gerry is currently president of Vote Rite Systems and is providing data services to many conservative organizations, politicians and candidates. "Sure do wish some of those thousands of dollars I’ve donated to the other groups could be used to support the GOA lawsuit. Well, they will be from here on out." "I see you guys have your priorities straight, and I want to add my support!" "Wow, you guys are actually sticking your necks out and getting things done."